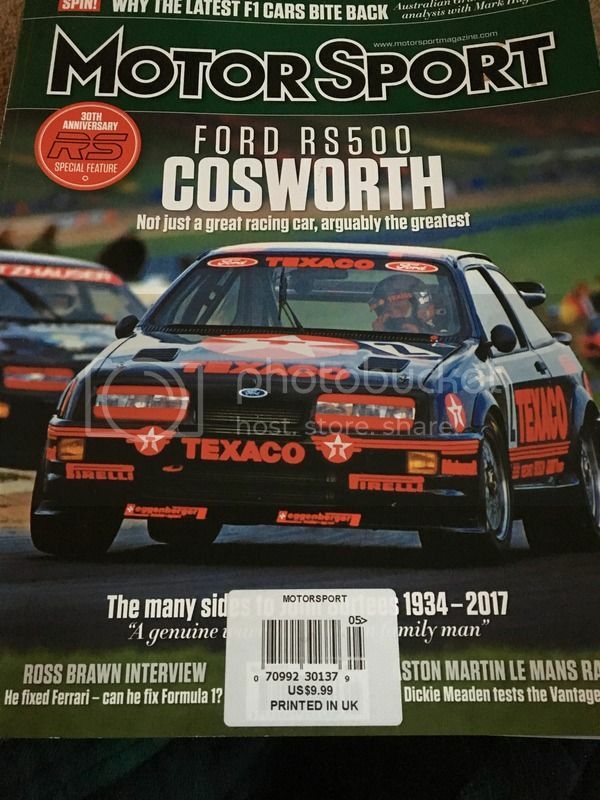 Thought you all might enjoy a quick read on the RS500. If you happen to be in a barns and noble or other bookstore take a look at the new issue of Motorsport magazine. 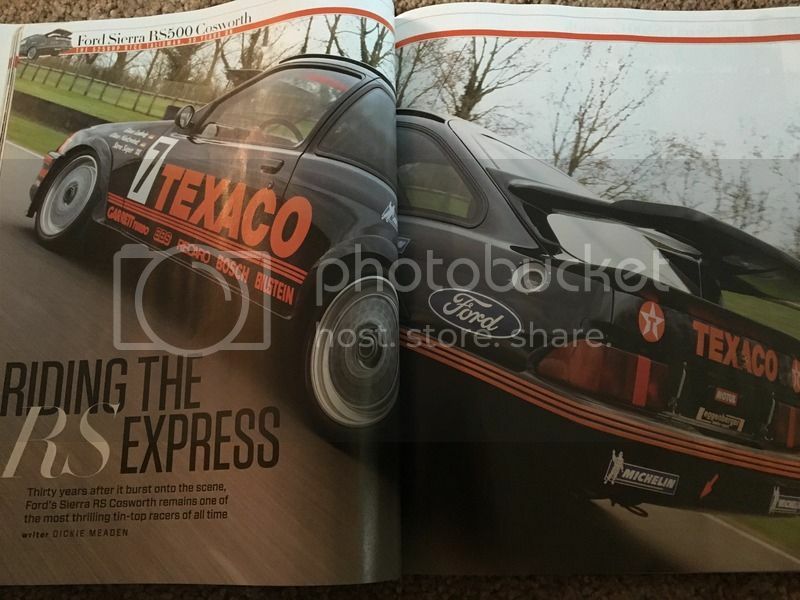 There are a few great articles on the RS500. One has an interview with with Andy Rouse and Steve Soper. Rouse and Soper give some great insights on what it was like to drive these beasts in race trim. Rouse also revealed that their car actually went back to the stock rear spring mount location as opposed to the coilover that ford had recommended for the Motorsports prepped sierras. He claimed that that on their car it actually gave them more traction. So if you get a chance it's a good read, the Merkur of Rouse makes a brief appearance in one photo too. jkxr4ti wrote: Thought you all might enjoy a quick read on the RS500. "Indeed, it pootles along rather nicely."